You met my boys last week didn't you? I was having some fun with them today and wanted to share with you. 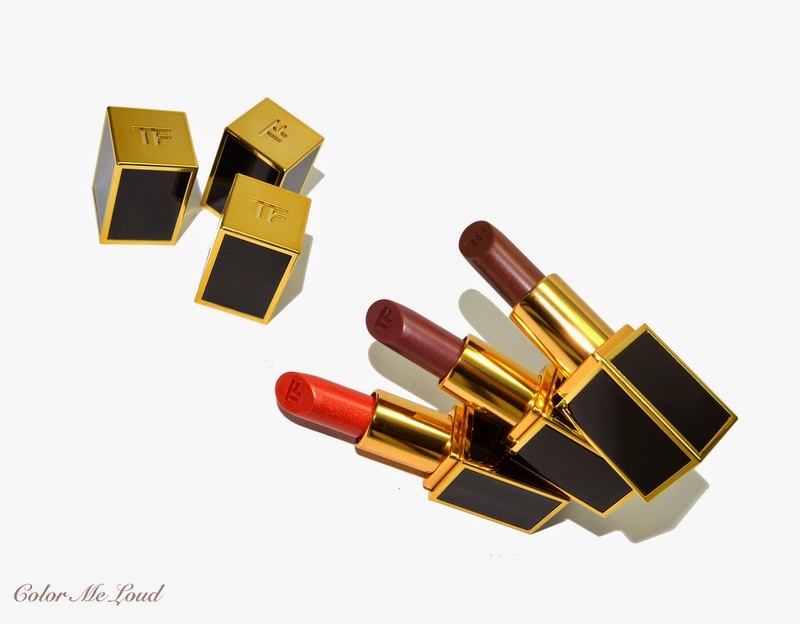 Tom Ford's Lips & Boys Collection will be available in Germany on the 27th and in the States the store will start selling them on the 26th, so I didn't want to hold my review until after the holidays. 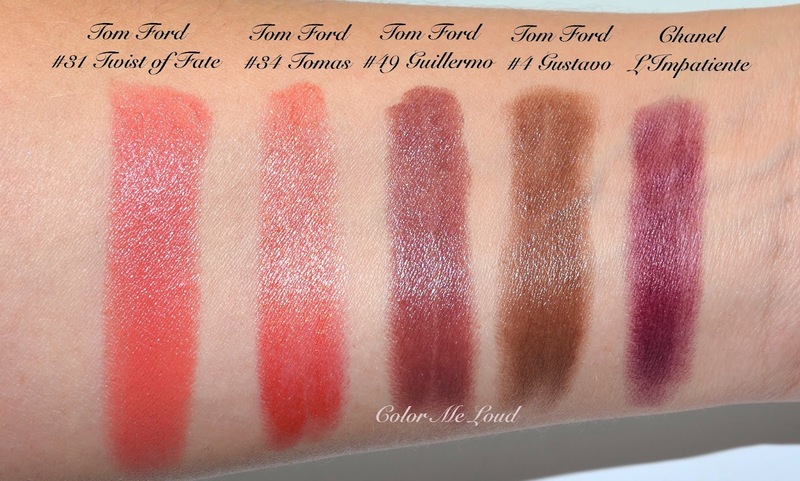 I first swatched them against some closer shades that I have in my stash. I found out from the cooler boys, Jack is cooler than Aphrodisiac. Liam is the more purple one of the two vamps, Alasdhair and Liam. Alasdhair is close to Black Orchid that everyone seems to be missing, so make sure to grab one if you are in the search. Black Orchid is a little more saturated and more pigmented than Alasdhair but their balance of berry and red is very close. Everyone is trying to get hold of Stravros. I can understand why, that boy stole my heart. 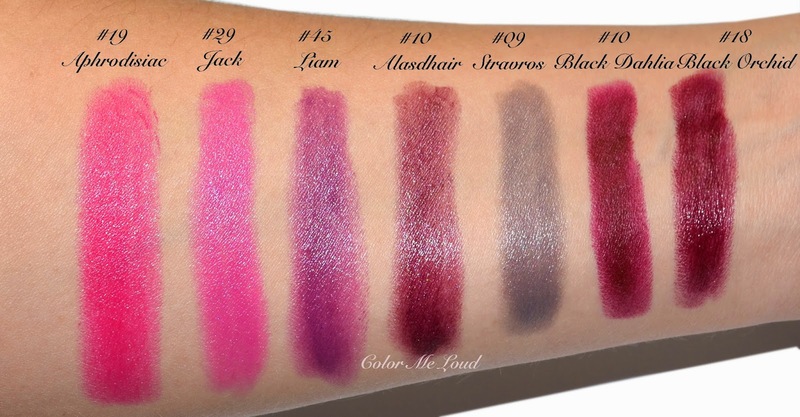 It is close to Viva Glam Rihanna 2, but cooler and pulls more purple. You can see a comparison here at my Instagram. When I posted that many would like to see me and Strovros having fun, so here you go... 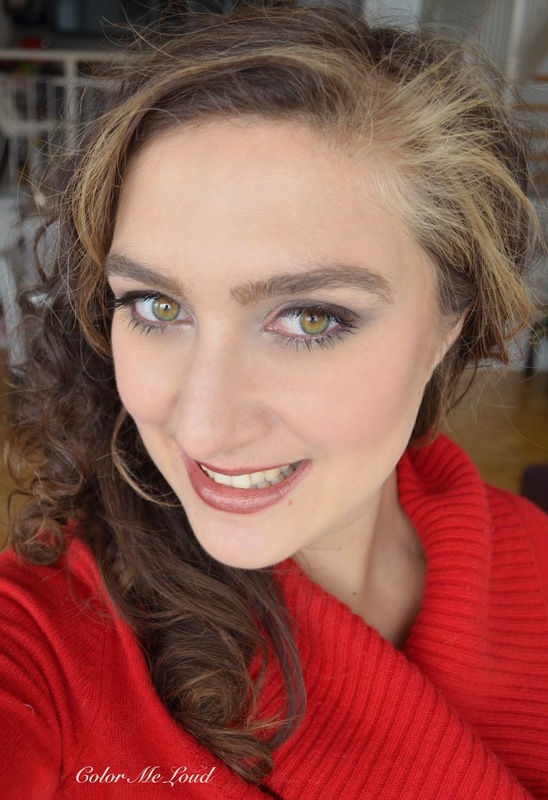 Here I am wearing Chanel Tisse Fantaisie on my eyes and Burberry Earthy on my cheeks, which is a great blush to pull off weird shades. Talking about cool boys, I like the easy going Jack for times I don't need to be especially unique. It is a great pink for those who like it cool. It is one of the coolest mid-toned pinks of the range and I am loving it together with Chanel's new nail polish for Spring, Le Vernis #643 Desirio, which I am loving more than the other two shades at the moment, surprise! Since my last post a new boy joined the family, say hi to Blake. It is a gorgeous mid-toned to deep copper with golden flakes. The base shade pulls enough pink so that it doesn't appear brown on my lips. It is close to MAC Moody Bloom from Moody Blooms Collection, which was one of the lipsticks I love wearing during Fall. Blake is a tad warmer because of more golden sheen to it. I can't feel the flakes on my lips, it is very hydrating and long wearing. It became one of my favorite boys. This is me and Blake together. 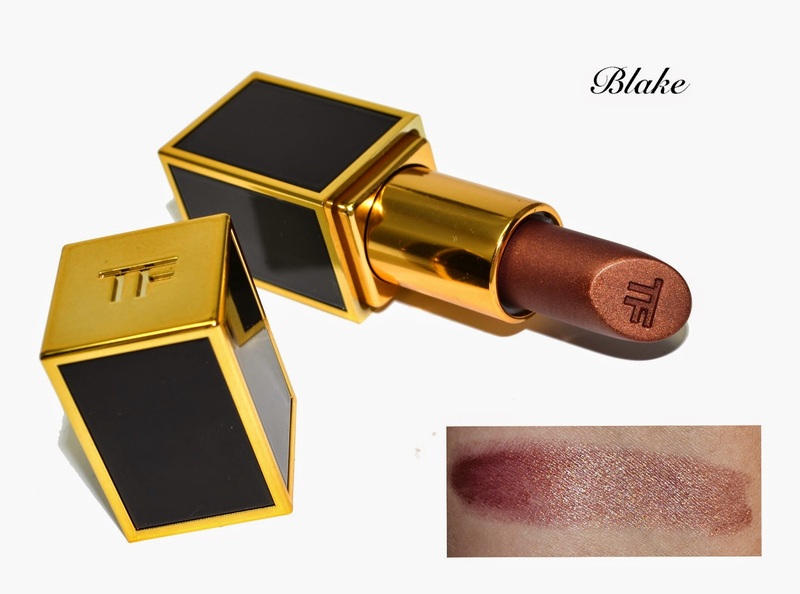 On my cheeks I have a touch of Tom Ford Savage, which I think really works wonderfully with Blake. 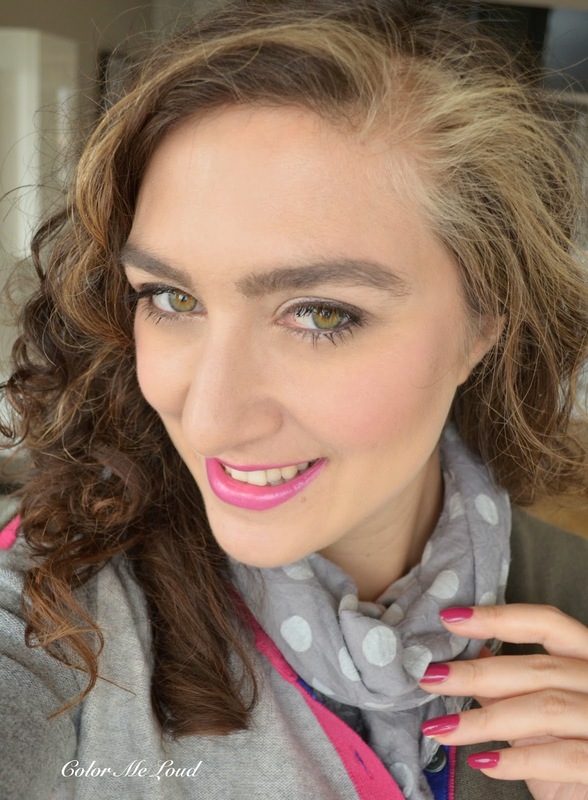 On my eyes I am wearing Chanel Tisse Fantaisie again, because I am badly in love with that quad! Now on to warmer beauties, before Blake joined them I had three of those, Tomas, Gustavo and Guillermo. Tomas was a shade I had to pick up since it is closest to hubby's name. Gustavo was probably the wrong decision since I am not into brown lipsticks. Tomas' base color looks close to Twist of Fate but it has all the golden sheen gorgeousness on top, love Tomas, both of them (boy and hubby). I thought plum brown Guillermo would be close to Chanel L'Impatiente but it is a tad browner. I love how it looks on the lips though. Now are you ready for some more fun? I was behind the reviews and was searching for ways to be able to take application photos of more lipsticks at a time. 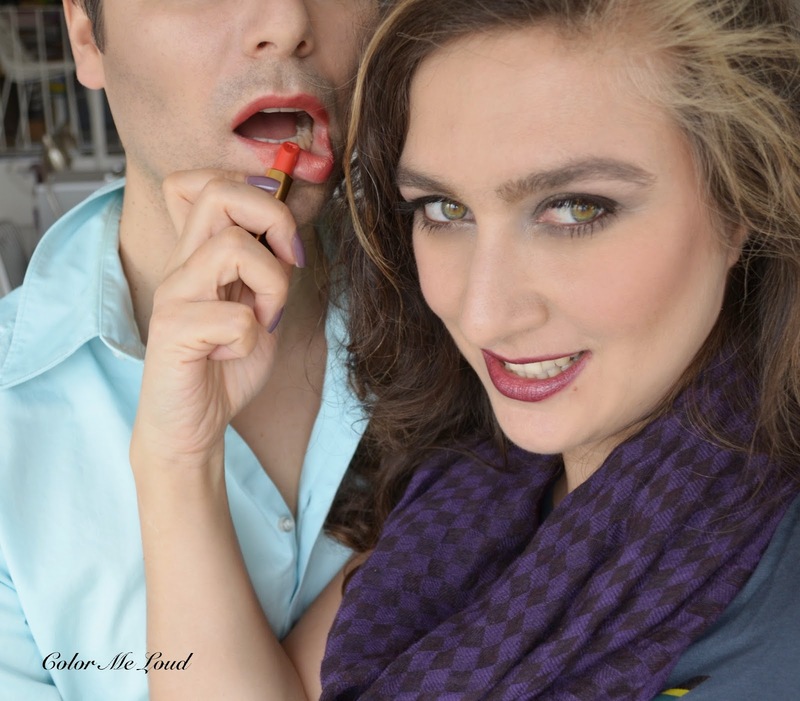 Then I was inspired by the promo photos of Lips & Boys. 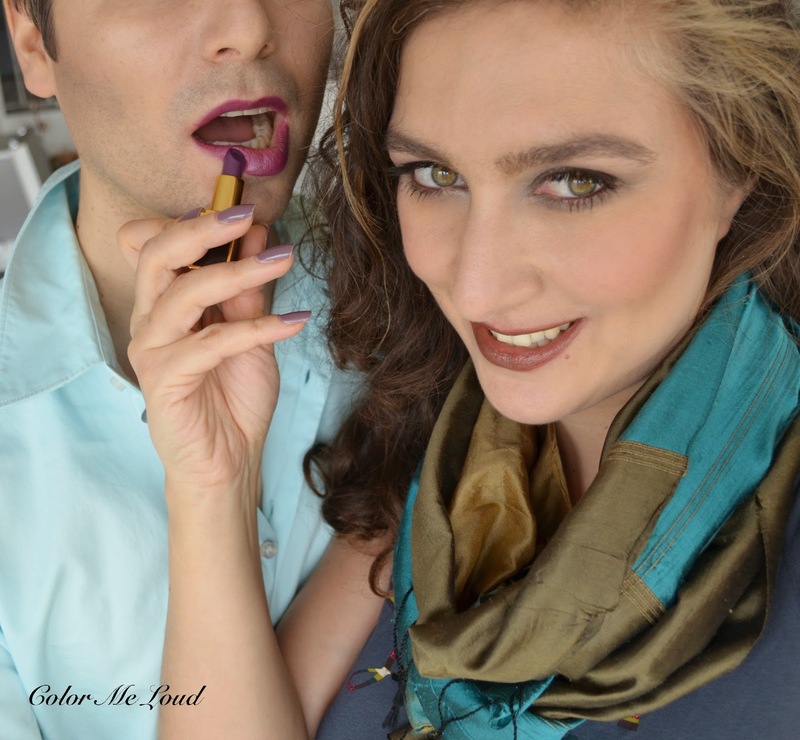 Doesn't that guy look hot in a purple lipstick? With the help of hubby now I can present you with two lipsticks at a time. Here you go! This is me wearing Alasdhair and hubby wearing his name sake Tomas. I have to warn you, if you have blue eyes, you need Tomas. It made hubby's eyes bluer than ever. I am loving Alasdhair, a great vamp, especially for those who missed on Black Orchid. As it turned out to be fun playing around with boys together, we went on a second round with Liam and Gustavo. I believe in the promo photo the guy with the lipstick is wearing Liam too. Let me tell you, it looks great on man! I was a little undecided about Gustavo but you see, it is not all that bad. Also check me out wearing Liam in the previous post. Liam is by far one of my favorites of the range! Special thanks to hubby for the help! Don't miss those boys, they will be released this week. The collection will be available on the 27th of December only at Tom Ford Counters in Berlin KaDeWe, Munich Oberpollinger, Dusseldorf Breuninger as well as online at kadewe.de. You can also call 030/21 916 397 or 089/29 024 166 to order. How do you find guys with lipstick? Blake was provided free of charge for my consideration, I have purchased the other shades myself. Hey, big thumbs up here Sara. You did a great job. Loved the post and the pictures. I really don't think I can pull Stavros. No matter how much I love it... So that makes me feel better for missing it. The one I really would like is Blake. Wasn't sure first, but after seeing it here, I think I will. Hey, in that photo wearing Gustavo.. What is the rest of your make up? Looks stunning. 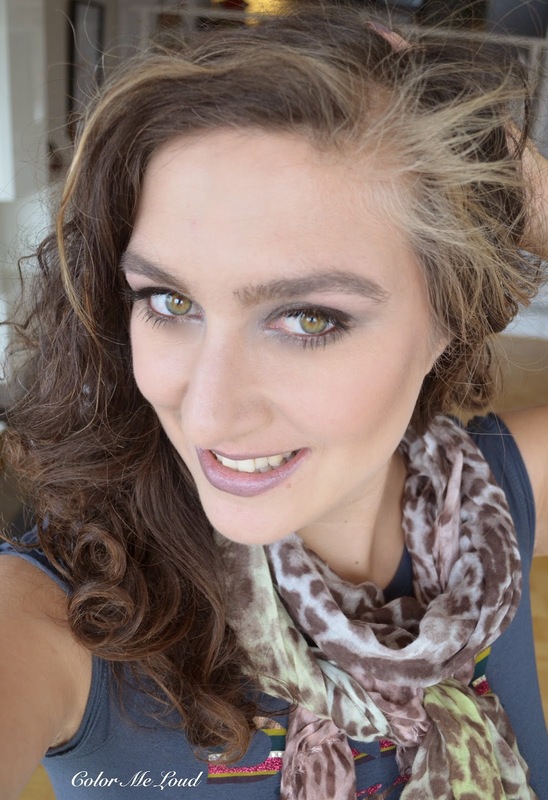 Hi Andrea, it is Chanel Tisse Fantaisie on the eyes, I believe a touch of Savage and Wicked (Tom Ford) on the cheeks. Thank you! Do you remember the foundation, by any chance? Sure it is YSL Fusion Ink and Laura Mercier Concealer applied on spots. Oh you get them in Belgium? I didn't understand that with 20 out of 50 shades, is it just for Belgium? Did you order from US? Haha, yes, his name is spelled as Thomas, which is the German version. You got the collection even before us? Not fair lol. We will have them on Friday here, I mean 27th. I hope I won't go for another splurge. Yeah we miraculously got it between the two official launch dates! I think that's it for us tho. The store told me they either wouldn't get any new stock at all, or it'll be in 2015.
oh my gosh! i love the pics with your hubby! i'm craving for kevyn aucoin's candlelight and some more highlighters at the moment. I think the mattes satisfied out lipstick craving. It sounds like now you are in a highlighter mood. I am curious to read your review on these! I haven't tried Kevin Aucoin highlighter myself. Great post -- so fun!!! LOL at the pictures with your hubby. Awesome!! Thank you so much! Love the pics with your husband! Stavros looks good on you! Oh gosh your hubby is such a sport!!! Need full LOTD pls!!! LOL!! Yes you're right, Liam looks awesome on a man! Love your take on the promo images! LOLLLLL. Best swatching pics ever. Omg, I totally love the pics with hubby, what a good sport he is😊. All the colors look great on you. I haven't been able to wear TF lippies, they dry my lips out too much. These are the most fun swatch posts ever. I love Gustavo on you-- I wish I could pull it off-- it's beautiful. lol i love this post!! how fun that your husband let you do that, i would have to really twist my husband's arm! omg i absolutely love alasdair on you...its so stunning!! you really can pull off any color of lipstick and look gorgeous. What a fun way to showcase these colors, Sara! He's a good sport! 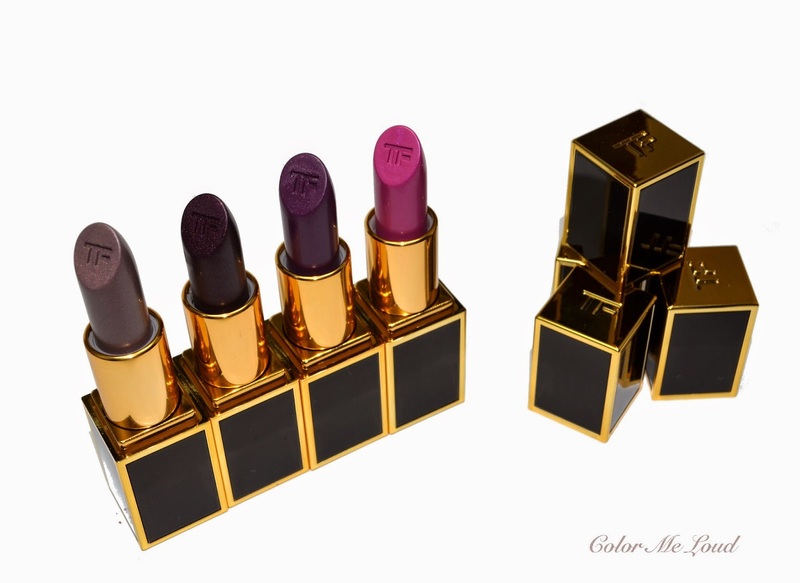 Tom Ford Jack is such a beauty. It looks so pretty on you. I think its a perfect everyday or day wear lippie. Loving this set of lippies. You have the most unique shades, Sara! Which is no surprise! That's why I love your blog, you always have the coolest, unexpected colors to share with us! :D I bought Stavros as well. I know I wouldn't getting a lot of use out of it but it's SO unique I had to have it! GORGEOUS!!! Applaus!! The last pic is suitable for immediate PR use! I am loving my boys, apart from Alexander which makes me look very washed out. You really suit the darker colours! cute! 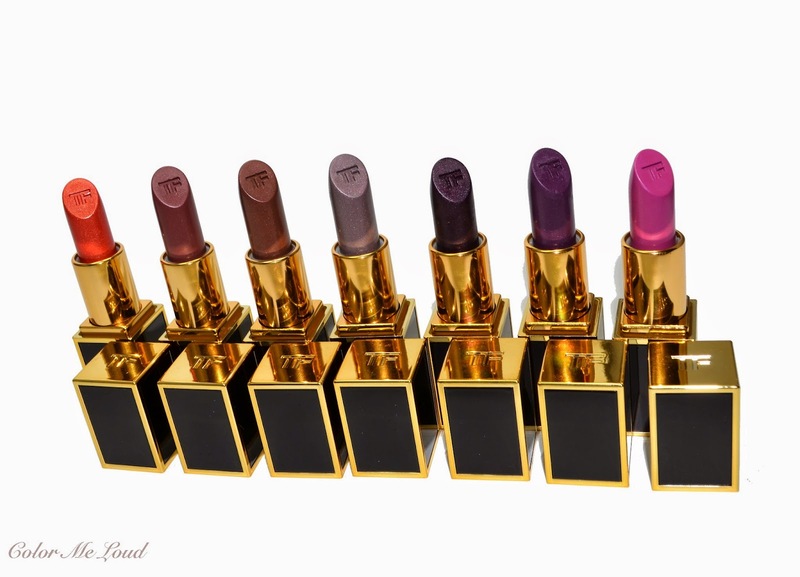 I wish i got black orchid or black dahlia lol. I'm excited about these, but also am managing to resist somehow?